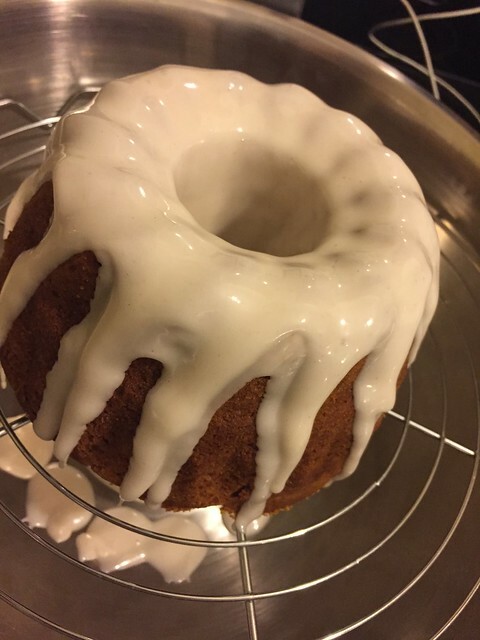 Pumpkin Spiced Cake- Nothing Ghoulish about it! Sometimes all that will stem the flow of desiring to bake is a plain, but delicious Madeira sponge. This is my Halloween version of same. It contains the all important mix of spices, and the pumpkin puree that I introduced in my Pumpkin Bread post. I think warming spices at this time of year are mellow and aromatic, before we take the leap in the wintery fruit cakes and highly spiced gingerbread creations associated with Christmas. 320ml of vegetable oil, plus extra for greasing. Mix the dry ingredients together until the spices are completely infused through the flour, sugar and rising agents. 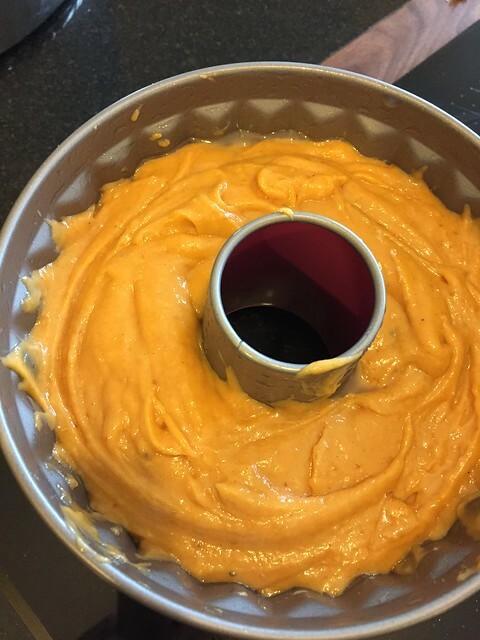 Similarly, whisk together the eggs, oil, and pumpkin puree. At this stage brush the tin well. 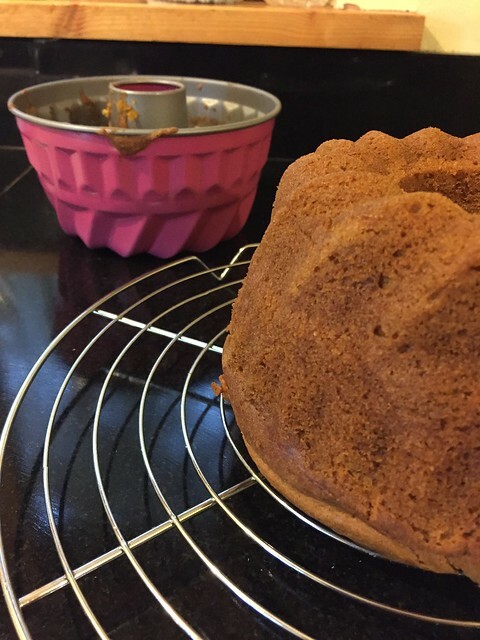 I’ve used a Bundt tin (Lidl’s best), but you could divide the mixture between two sandwich cake tins, or even two loaf tins. Mix together the dry and the wet, and spoon into the prepared tin (tins). Bake for about 35 minutes until a skewer inserted into the mixture comes out clean. I’ve iced this cake by simply mixing icing sugar, a teaspoon of cinnamon and enough water to make a relatively stiff icing that I drizzle down over the cake. Too runny? Just add more icing sugar. Too stiff? Add a DROP more water. You’ll get the hang of it! It’s best to ice it on rack so let the excess drip off into a container. A further sprinkle of cinnamon will finish it off nicely.